Cafe Zupa's is located in 8 states and soon to be 9. They have delicious salads and sandwiches. After you order your food, you conveniently walk by the dessert case to pay. 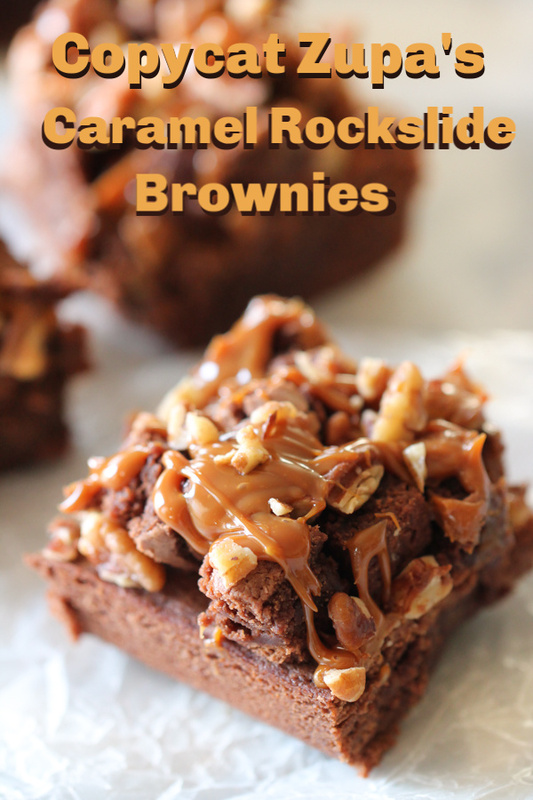 You'll see the most amazing Caramel Rockslide Brownies ever! 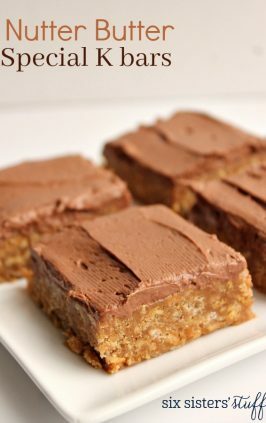 After buying so many of these chocolate squares of heaven and studying them closely, we decided to create our own. 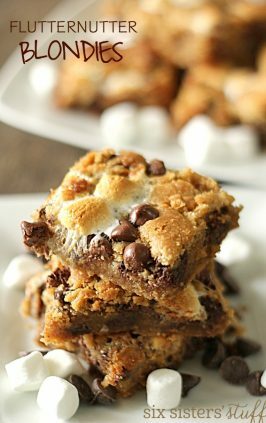 We tweaked it over and over, and now have a delicious Copycat Zupa's Caramel Rockslide Brownie you can enjoy at home. They are delicious. We love anything chocolate. When that chocolate is in the form of a brownie, we are all over it! We often go to the local Cafe Zupa’s here in Utah. They have an amazing Caramel Rockslide brownie. 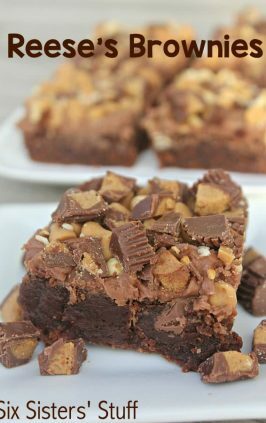 It’s a thick brownie that is drizzled with a caramel topping. 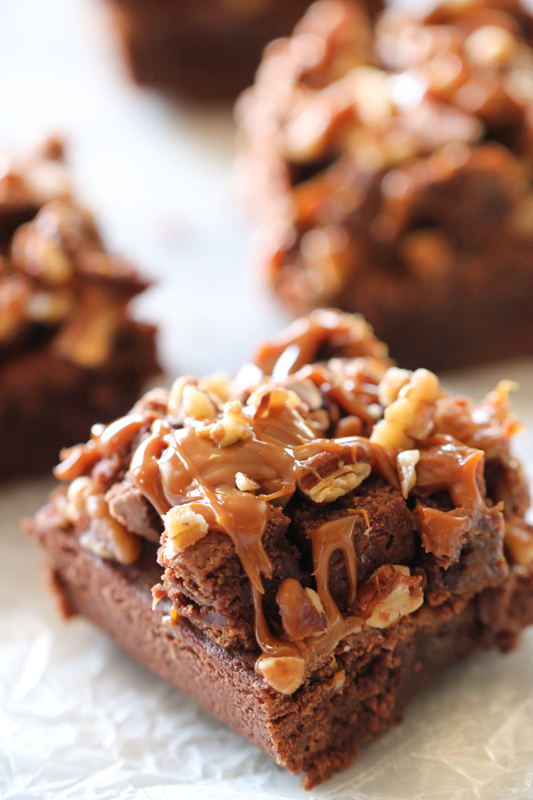 More brownie chunks are on top of the drizzled caramel, along with sweet toasted pecan pieces. Then top it off with more drizzled caramel. 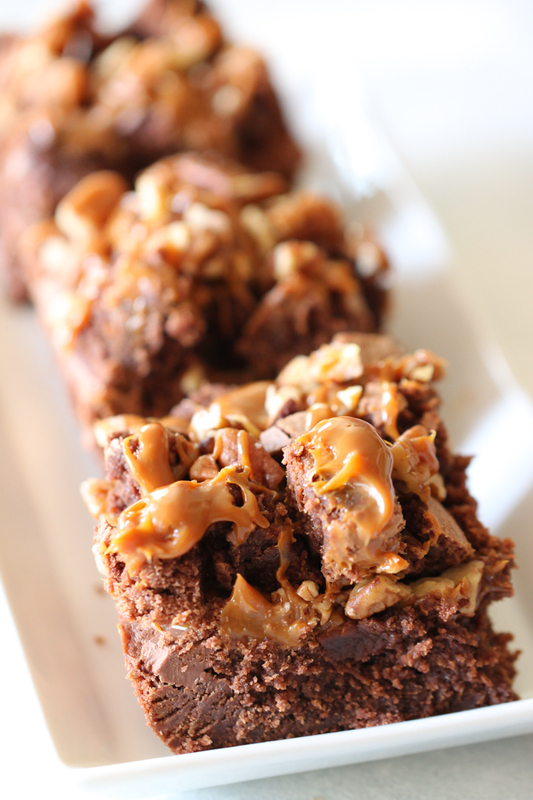 Caramel Rockslide brownies are so big and rich, that we often split them in half and share them. 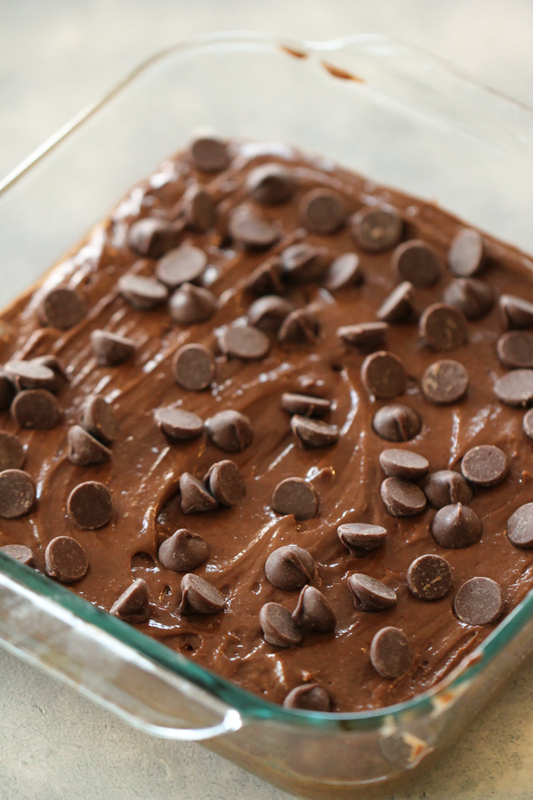 We added in some big milk chocolate chips in with the brownie batter. 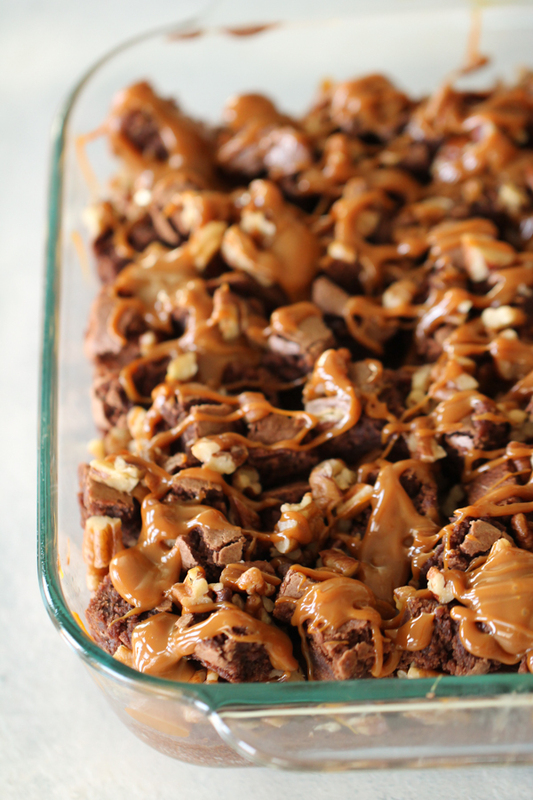 That added even more chocolate goodness to our own copycat version of Caramel Rockslide Brownies. 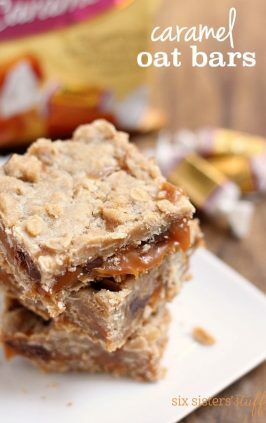 what types of caramel topping can be used? 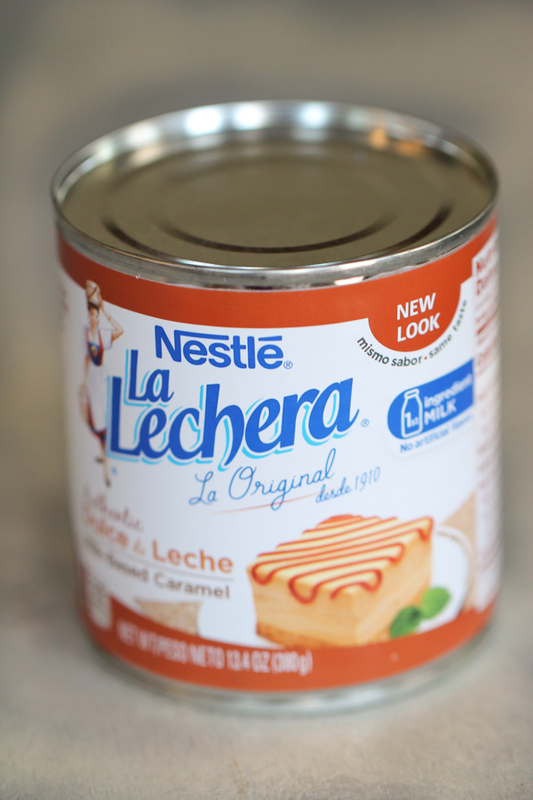 We did some research on the best caramel topping for these brownies and this La Lachera from Nestle is our favorite. It’s a milk based caramel. You can make your own by cooking sweetened condensed milk for hours. It will turn into this exact Dulce de Leche. It is amazing. We like to make it in the slow cooker. Place the sweetened condensed milk cans on it’s side in the slow cooker. Cover the cans with water, at least 2 inches over the top of can. 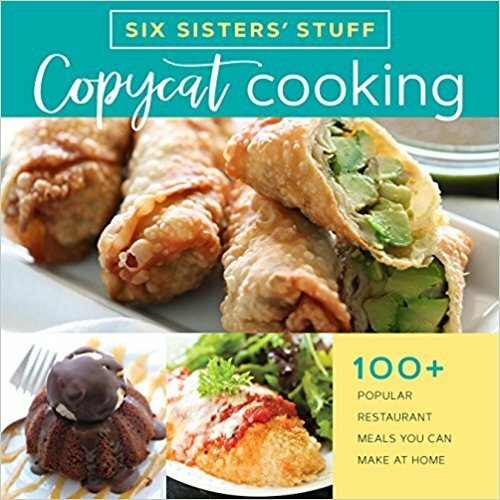 Cook for 8-10 hours on low. Do not open can while hot because the contents could burst and you could get burned. Let it cool in cool water for about 10 minutes before opening. 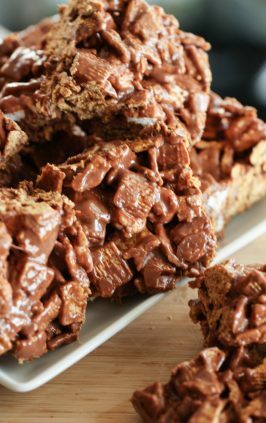 You will have the most amazing caramel that can be used for so many things. Place caramel in a jar and it can be stored in the fridge for up to a month. You can also make a caramel sauce with individually wrapped caramels. An 11 ounce package of caramels and 1/2 cup of half and half will make a delicious caramel sauce. We loved the convenience of buying Nestle’s La Lachera. It’s about one dollar more than regular sweetened condensed milk. But it was worth it for the convenience. do you have to toast your pecans? We have used regular pecans when adding them to baked goodies. And they will work just fine. But if you take a few extra minutes and toast your pecans, they will add so much flavor to your recipe. When you toast the pecans, they become brown and fragrant. The natural oil from the nuts comes out while they are cooking, which means more flavor for your brownie. It’s worth a few extra minutes of cooking time for an amazing taste. All it takes is about 6 minutes at 350 degrees. 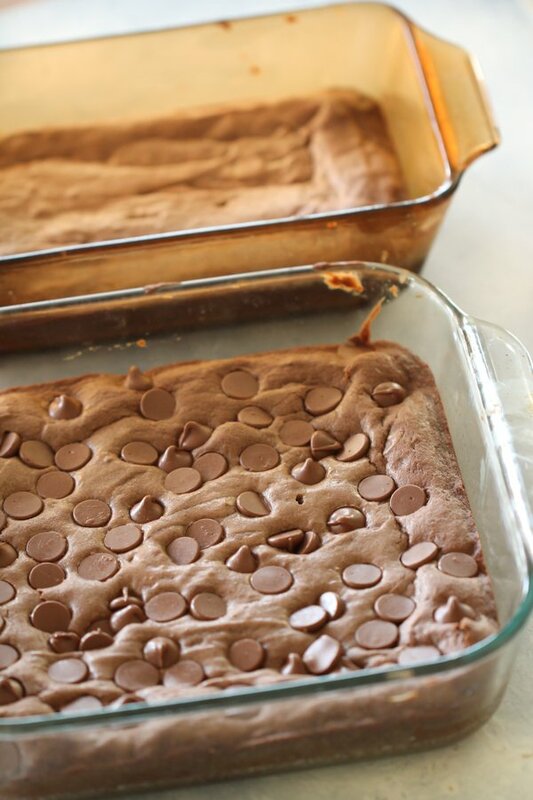 We started these delicious brownie with our Fudgy Brownie recipe that is our Grandma’s Char’s recipe. Beat all of the ingredients as directed below for this recipe. The batter is quite thick. Pour into 2 pans that have been sprayed with non stick cooking spray. One is an 8 x 8 glass pan, and the other is a 5 x 9 loaf pan. 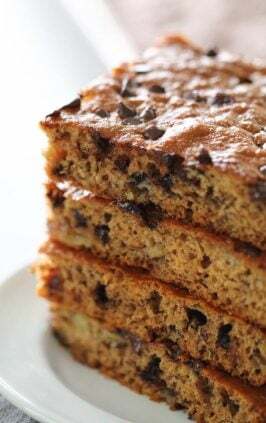 Place about 1 cup of chocolate chips all over the top of the batter in the 8 x 8 pan only. Place in the oven and bake for about 25 minutes or until a toothpick comes out clean. Drizzle some of the caramel topping over the top of the brownie in the 8 x 8 inch pan only. Let both pans of brownies cool while you prepare the pecans. Toast 1 cup pecans (we used pecan pieces) that have been stirred into 1 Tablespoon melted butter on a small baking sheet lined with parchment paper. Cook at 350 for 6 minutes. Remove the brownies from the loaf pan. 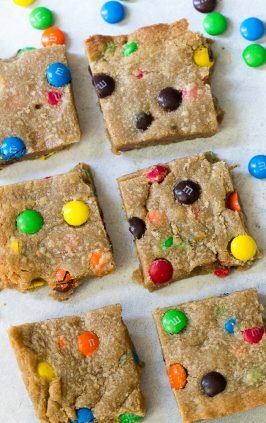 Place on a cutting board and cut into 1/2 inch squares. 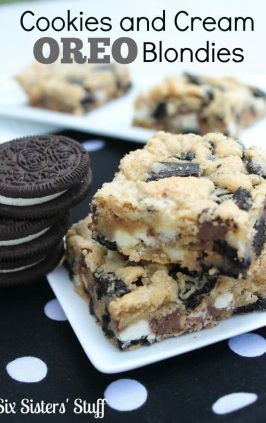 We cut off the edges so the brownie bites would all be very soft. 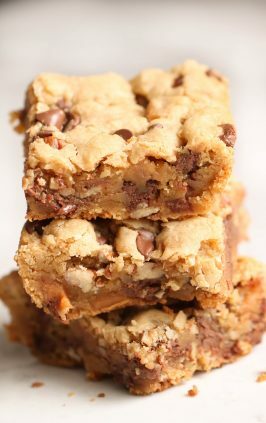 Sprinkle the brownie chunks and toasted pecans all over the top of the brownies. Drizzle with more caramel. 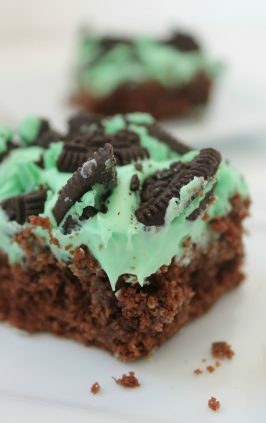 We used about 1/3 cup for the top drizzle. Slice and serve. We have found that when they are refrigerated for about an hour, they cut easier. These store well in an airtight container in the fridge. But we can promise you that they won’t last long! 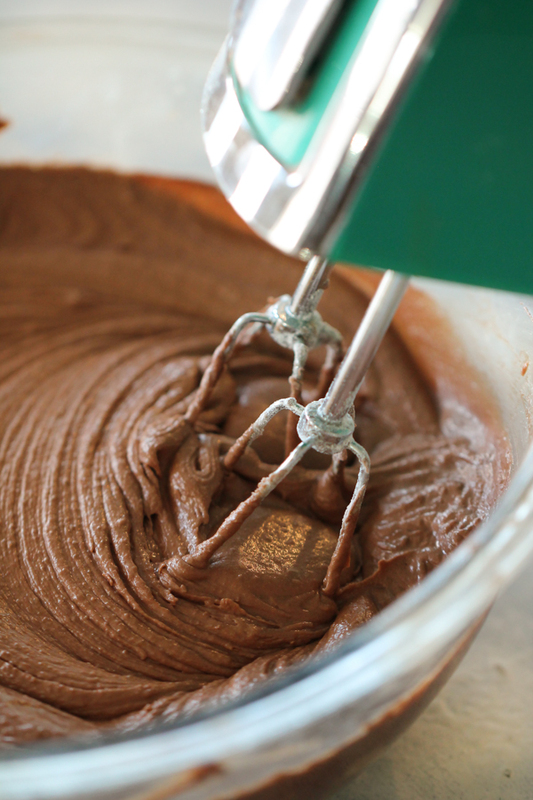 Hand Mixer – This is a favorite hand mixer that comes in many colors. We love the Quick Burst Button. 8 x 8 Baking Dish – A great sized dish for so many purposes. 5 x 9 Loaf Pan – This is great for all kinds of breads. Mini Spatula– We love this spatula for the hard to get areas. 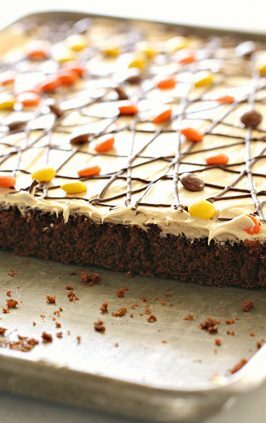 We have so many brownie recipes for you to enjoy. Grease an 8x8 inch pan and a 5x9 inch loaf pan. In a large mixing bowl, melt the margarine and butter. Then add in eggs and mix on low speed until all combined well. Then add in vanilla and flour and mix until incorporated. Pour into the prepared pans. 2/3 of batter into the 8x8 inch pan. The other 1/3 of batter into the loaf pan. Add chocolate chips to the top of the 8x8 inch pan. Pat them down lightly. 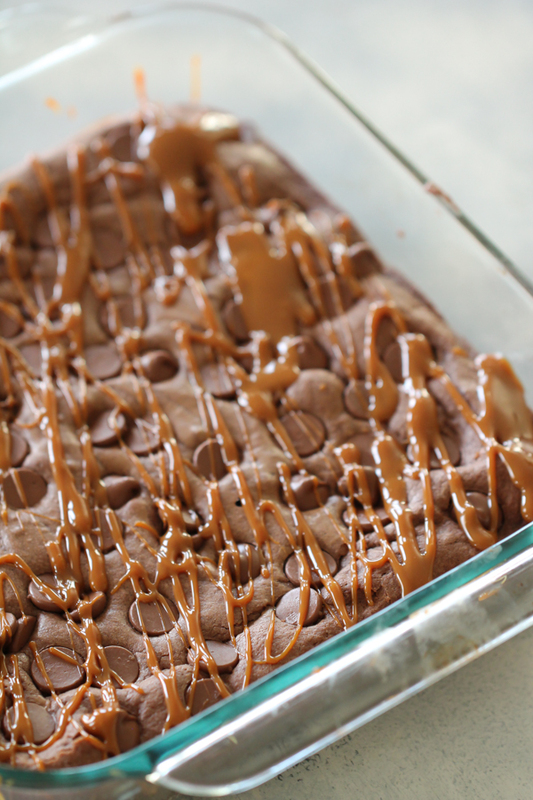 Drizzle a little caramel over brownies when they come out of the oven. 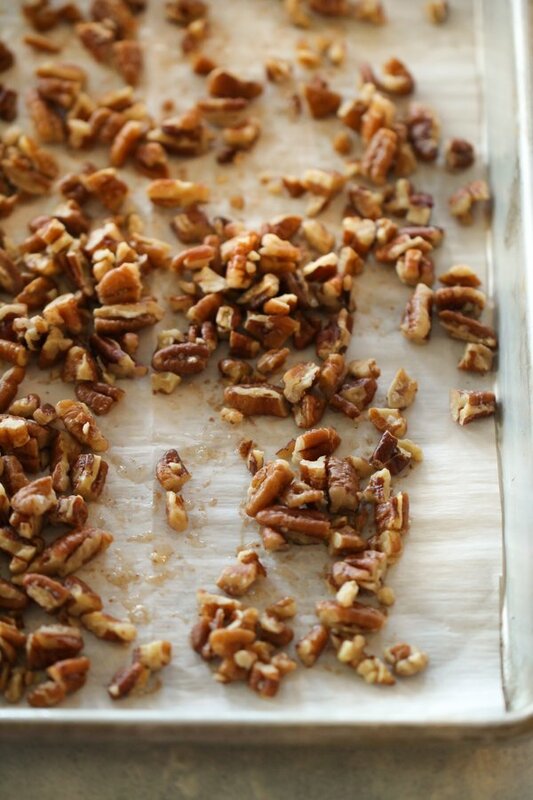 While the brownies are cooling, toast the pecans. Place pecans into a small bowl and pour melted butter over the pecans and stir well. Spread on the cookie sheet and bake for 350 for about 6 minutes. Remove and let cool. Remove the brownies from the loaf pan. Sprinkle the brownie chunks and pecans over the top of the brownies in the bigger pan. 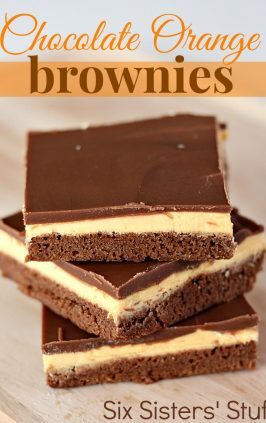 These look so good- that caramel drizzle on the brownies has my mouth watering! I am going to pin them right now!